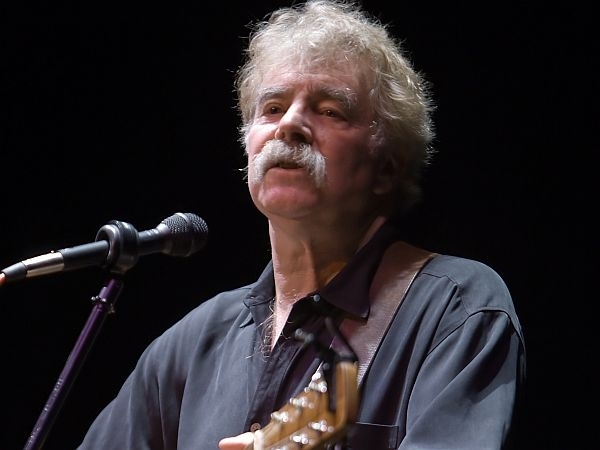 Legendary singer/song writer Tom Rush comes to Cape Cod on Thursday, July 19, at 8 PM, with a performance at Cotuit Center for the Arts. Rising to prominence as part of the Cambridge folk music scene in the 1960s, he had a powerful impact on the development of folk music and is credited with discovering Joni Mitchell, Jackson Browne, and James Taylor, and helping to bring many others to the attention of the public. And he influenced many other singers. Variety described his voice as a “vocal bear hug,” and Rolling Stone magazine credited him for initiating the contemporary of the singer/songwriter. At 71, he remains a strong presence in acoustic music, his voice, if anything, has grown more expressive, warm, rich, and engaging with the passing years. Tickets are $50, $65 for VIP admission, which includes a reception with the artist. For tickets and further information, visit artsonthecape.org, or call the box office at 508-428-0669. Rush’s biggest hits include “No Regrets” and “Merrimack County,” both of which he wrote, “Urge for Going” and “Circle Game,” both by Joni Mitchell, and, more recently, the very funny “Remember Song,” by Stephen Walters, which has “gone viral” on YouTube, gathering almost 6 million hits so far. Drawing listeners in with his melodies and lyrics, he is equally loved for his onstage patter. Audiences enjoy his engaging stories and tales as much as his music. Originally from New Hampshire, where he currently lives, Rush got his start in Cambridge, as part of the lively folk revival scene in the early1960s that centered around Club 47 (later Club Passim). 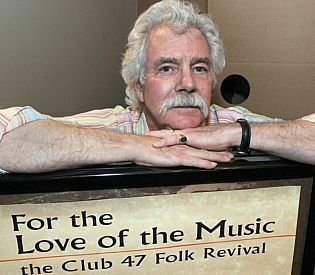 As described in the recent film, “For the Love of the Music: The Club 47 Folk Music Revival” (which was screened recently at Cotuit Center for the Arts and will be shown again at the Woods Hole Film Festival on Sunday, July 29, at 7 PM), Club 47, influenced a generation of folk musicians and folk music lovers. Seventeen-year-old Joan Baez was the first to sing folk music at the club (it had previously featured jazz,), and the list of musicians who played there is lengthy: Tom Rush, Eric Von Schmidt, Jackie Washington Landron, Bob Dylan, Jim Kweskin, Geoff and Maria Muldaur, Judy Collins, Joni Mitchell, the Charles River Valley Boys, and a host of others. Rush, an English literature major at Harvard at the time, hosted his own folk music radio show there, and had recorded two albums by the time he graduated. “The thing that strikes me about that whole time period is just how much ferment and cross-pollination there was between the different artists. Really good art very seldom arrives in a vacuum. It’s almost always a bunch of people in communication with each other and basically stealing each other’s ideas and then expressing them in a different way,” he said in a recent interview posted at Boston.com. 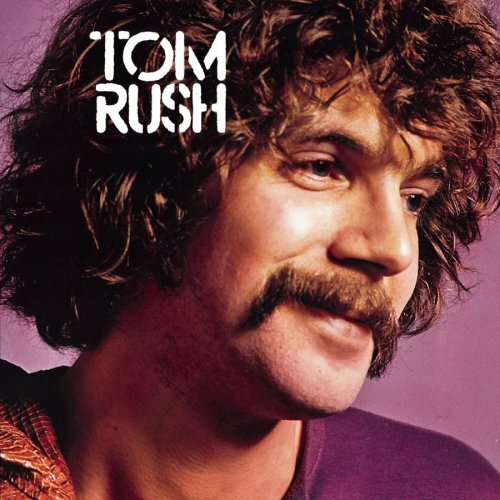 I talked to Tom Rush by phone recently about the Cotuit concert, his long career in folk music, his involvement with Club 47 in Cambridge, his Club 47 concerts, the film, and his current activities. He was generous with his time and information; it was like catching up with an old friend. This is not Rush’s first performance on the Cape; he has played Christine’s Restaurant (formerly in West Dennis), but it is his first trip here in recent years. He will sing a mix of old and new songs at Cotuit. Generally, he said, going into a concert, he knows what song he will open with and what song he will close the set with, and fills in the middle part as he goes. I asked him what his favorite songs were. 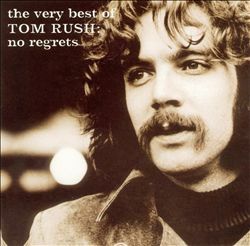 He is particularly fond of “No Regrets,” his 1968 composition, which became a huge hit. The song, he joked, put his kids through college. Really, though, he said his favorite song is always the latest one. 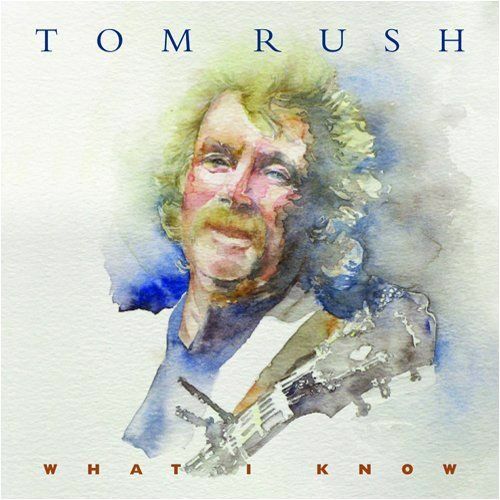 Right now, he likes two of his compositions, “The River Song,” which is on his latest (2009) album, “What I Know” (voted Folk Album of the Year by the International Folk Alliance). The words of the chorus, “River runs by my window, river runs by my door, river runs so sweetly, I’ll never roam no more,” and his gentle presentation, convey a wonderful peacefulness and love for his wife. 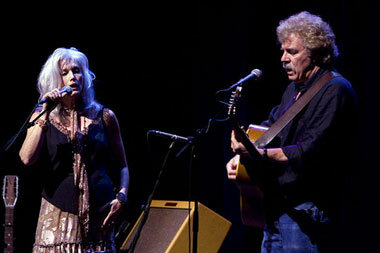 He wrote the song while living in Wyoming (his wife Renee Askins was studying wolves at Yellowstone National Park). A river did run by their house. He also mentioned his “Hot Tonight,” the opening song on “What I Know.” It’s a lively tune, more spoken than sung, about getting ready for a big night out on the town. The finished DVD will include the song and ancillary material, he said, such as stories about Paul Revere and Paul Bunyan. Rush makes a practice of sitting down and working on his music every day, rather than waiting for inspiration to strike. He also works on his guitar playing. He has made a DVD on how to play the guitar, called “How I Play (Some of ) My Favorite Tunes.” It includes originals such as “No Regrets,” Rockport Sunday,” and “River Song,” Joni Mitchell hits (“Urge for Going” and “Circle Game”), some traditional folk and blues songs, and others. Rush describes his guitar playing style as “unconventional, most would call it wrong” because he never had any lessons and just picked it up on his own. His parents forced him to take piano lessons for 12 years—both of them wished they had taken lessons themselves, he said. When he was 10, a friend, Beau Beals, taught him the ukulele, and that led to the guitar. After 20 years of playing the guitar his own way, Rush went to a guitar teacher to find out how one was supposed to play. The teacher gave him some exercises to do. Rush tried them out for about six hours, he said, but never went back to the teacher. His unconventional methods were working just fine. “I had a band in high school. It was terrible, but fun,” he said. Apparently his mother thought differently because she “donated” Tom’s services as a band director to the New Hampshire State Mental Hospital, a favorite charity of hers, to organize a band of inmates. He was 16 at the time and, because no one wore uniforms, it was hard to tell the staff from the inmates. Then, on a trip to a ranch out west with his parents, he discovered blues and folk guitarist Josh White, and was “blown away.” That’s when folk music hit him—the Kingston Trio, Odetta, and others. He was soon off to Harvard University, where folk music was taking root. There he learned that Josh White and the Kingston Trio were considered “commercial folk singers,” and that the purists gravitated toward authentic, ethnic music about the working class poor, labor unions, hard times, and minstrel singers. As a fan of groups like Peter, Paul, and Mary, the Chad Mitchell Trio, and the Kingston Trio, all frowned upon as being “too commercial” back in those days, I asked Rush what was the difference between commercial and purist music. Folk music provided an alternative to rock music. By then, Rush said, the creative burst of energy from 1950s rock music had faded and “what was on the radio in the 1960s was dreadful. The popularity of folk music was in part a negative reaction to what was being played on the radio, Rush said. That said, he has included two songs with political overtones on his most recent CD, “What I Know.” “East of Eden” is a commentary on U.S. immigration policy, and “All a Man Can Do” is about a war veteran’s return to what’s left of his life. Rush is well known for his ability to find good music written by others (“Urge for Going” by Joni Mitchell, for instance), creating hits for himself and helping aspiring singer/songwriters to rise to gain recognition. Accident or not, Rush knows talent when he sees it, and he has always enjoyed the creative energy of bringing musicians of a variety of genres and backgrounds together. In 1981, Rush celebrated his 20th year in music with a concert at Symphony Hall in Boston the week between Christmas and New Year’s Eve, traditionally a slow time for concerts. It was a big hit, and Rush made it an annual event, inviting other singers to join him. Some were friends from the Club 47 days, and others were newcomers. By the fourth year, Rush was calling it a Club 47 reunion show, and the concerts were often broadcast nationally on PBS and NPR. Rush took the show to New York’s Carnegie Hall, the Kennedy Center and the Smithsonian in Washington DC, and Harvard Yard for the university’s 350th anniversary celebration. The concerts featured both established singers like Bonnie Raitt, Emmylou Harris, Joan Baez, and Richie Havens, and rising stars, still largely unknown at the time, like Nanci Griffith, Shawn Colvin, Alison Krauss, and Mark O’Connor. The purpose, Rush said, was to bring together the generations, “a great principle to organize concerts around.” He provided a house band (with David Bromberg, David Buskin, and Robin Batteau) and encouraged all the musicians to play with each other, try new songs and genres, and to enjoy themselves. “It was a good fit for me as a generalist,” said Rush, who enjoys playing multiple musical genres. He would sing some solos, his guests would sing their songs, and then he would his guest artists for an energetic session of group music-making. Once Rush showed that concerts between Christmas and New Year’s could be profitable, the Boston Pops decided to hold concerts in that time period, and Rush was unable to continue his Club 47 concerts. This year, however, in honor of his 50th year in music, he is recreating the magic. With the help of Kickstarter, he raised enough money to put the show on again, and it will happen on December 28, 2012, at Symphony Hall. It should be a grand, and well-deserved, celebration of the man and his music. Meanwhile, he will be at Cotuit Center for the Arts on Thursday, where the show might be even better, more intimate, and certainly a night to remember.